40 Years of Song, Fun & Service! 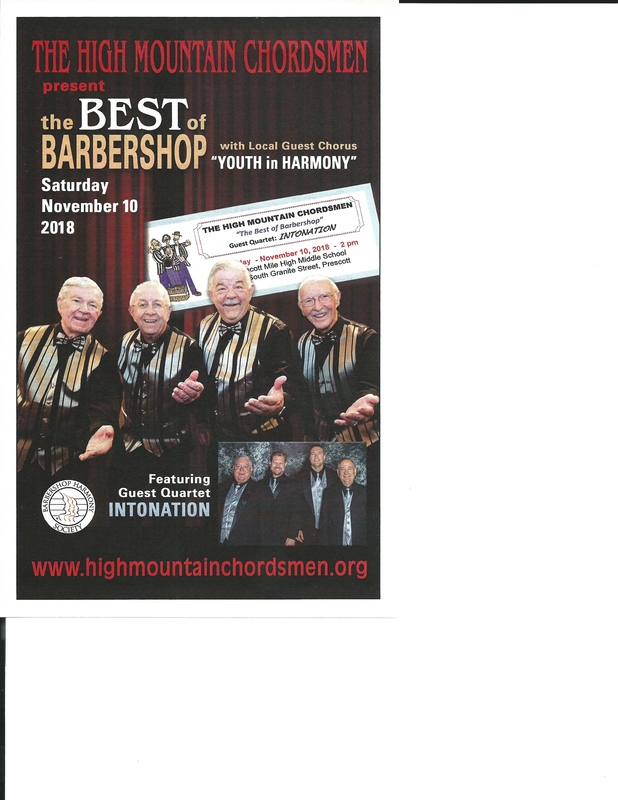 It's GREAT to be a Barbershopper in Prescott, Arizona! Everybody's Hometown! Or We'll Come Sing For You! You can Book Us to fill your entertainment needs - large or small. The chorus and our quartets are available for your large event or small party. Click the show flyer to buy your tickets. Sing, Sing, Sing! - You Ain't Heard Nothin' Yet!